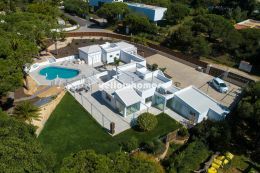 Almancil - The town of Almancil is just a 15 minute drive from Faro airport and is located very close to the world renowned resorts of Quinta do Lago and Vale do Lobo. 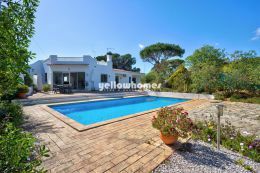 Almancil is surrounded by well established developments offering luxury accommodation, up market restaurants, shops, supermarkets and numerous golf courses. These resorts around Almancil include Varandas do Lago, Vale do Garrao, Vilas Alvas, Dunas Douradas, Quinta do Mar, Quinta Verde, Valverde, Fonte Santa, Fazenda Santiago and Vale Formoso. The centre of The Golden Triangle.